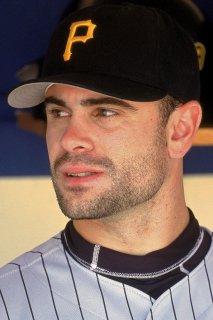 Draft: 1992, Pittsburgh Pirates, 1st rd. July 24, 2012 C Jason Kendall retired. July 19, 2012 C Jason Kendall assigned to Northwest Arkansas Naturals. July 18, 2012 Kansas City Royals signed free agent C Jason Kendall to a minor league contract. October 30, 2011 C Jason Kendall roster status changed by Kansas City Royals. June 20, 2011 sent C Jason Kendall on a rehab assignment to AZL Royals. May 5, 2011 Kansas City Royals transferred C Jason Kendall from the 15-day disabled list to the 60-day disabled list. March 30, 2011 Kansas City Royals placed C Jason Kendall on the 15-day disabled list retroactive to March 22, 2011. Recovering from September 2010 right shoulder surgery. November 10, 2010 Kansas City Royals activated C Jason Kendall from the 60-day disabled list. September 3, 2010 Kansas City Royals placed C Jason Kendall on the 60-day disabled list. Right shoulder surgery. December 11, 2009 Kansas City Royals signed free agent C Jason Kendall. November 5, 2009 C Jason Kendall elected free agency.